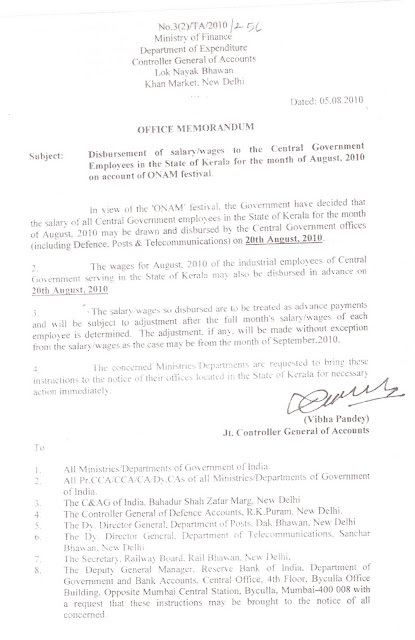 EX-SERVICEMEN WELFARE: Disbursement of salary/ wages on 20 AUG 2010, to the Central Govt. Employees in the State of Kerala for the month of August,2010 on account of Onam Festival. 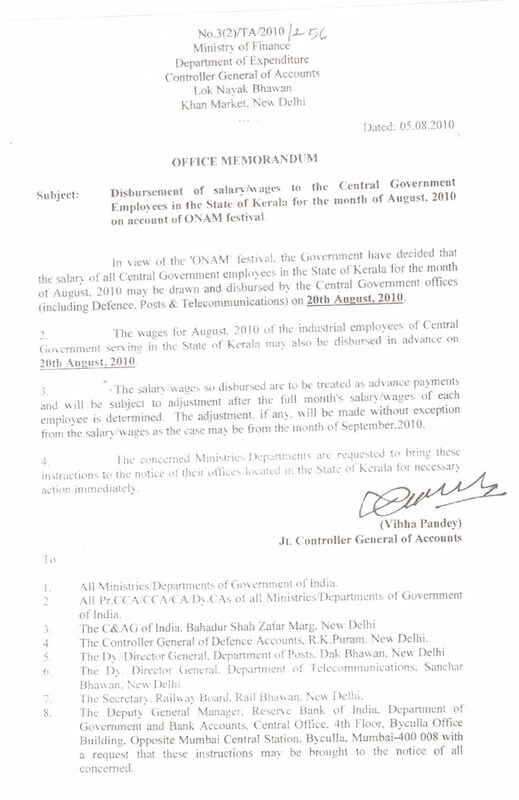 Disbursement of salary/ wages on 20 AUG 2010, to the Central Govt. Employees in the State of Kerala for the month of August,2010 on account of Onam Festival.